Memorial services will be 2:00 P.M. Saturday, April 13, 2019 at the First Baptist Church with Rev. Gene Jones, officiating. The family will receive friends on Friday, April 12, 2019 from 6:00 to 8:00 P.M. at Brooks Chapel. Cleta was born July 29, 1937 in Marietta, Oklahoma to Johnny Condo and Mae Frances Meeks Willis. 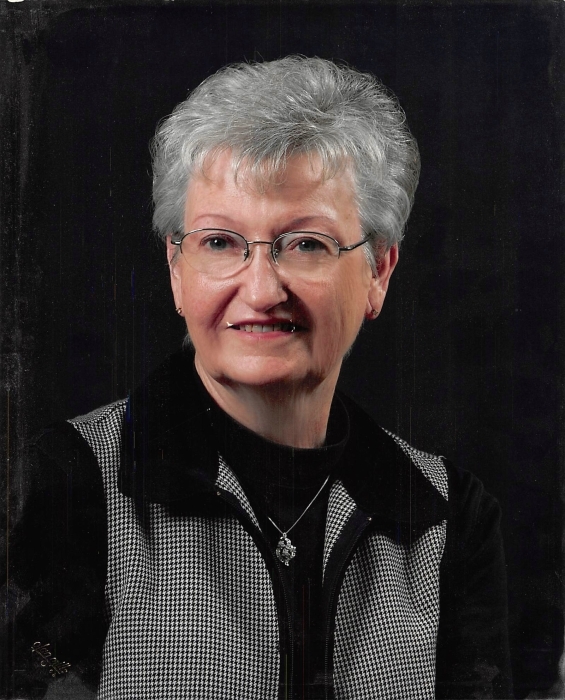 She was a devoted mother, grandmother, and sister. She was a member of the First Baptist Church and the Quilting Club at the First Baptist Church. Cleta was a servant of God. She was preceded in death by her parents, twin sister, Theta Vern Brotherton and her husband, Keith Cordray. Survivors include two sons, Lane Turner and wife Susan and Stephen Glen Turner, all of Canyon; two grandsons, Chance Turner, of Oklahoma City, and Seth Turner, of Canyon; stepson, Mark Cordray and wife Marcheta of Oklahoma City; stepdaughter, Jane Cordray; grandchildren, Landon Cordray and wife Sheree of Oklahoma City, Tiffany Poe and husband Justin of Stillwater; great grandchildren, Chandler, Wyatt and Landree Cordray, Lucy, Claire and Ella Poe; four sisters, Jean Merchant of Comfort, Jane Lindsay of Wichita Falls, Sue Birge of Wichita Falls, and Lucretia Curtis of Stephenville; a brother, Johnny Willis of Wichita Falls; and many nieces and nephews. The family suggests memorials be made to the Quilting Club at the First Baptist Church.